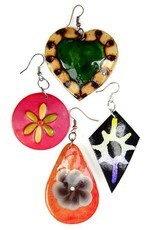 A colorful assortment of bold gourd earrings. 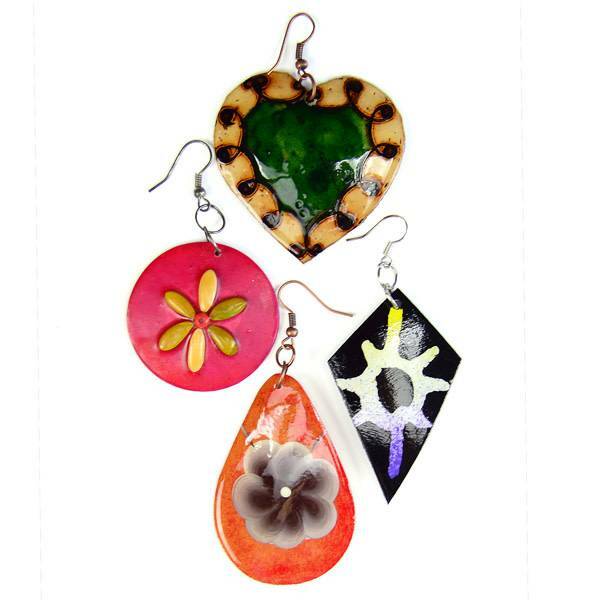 Variety of designs and shapes available. Made in Perú.